Chad Shear is a Principal in Fish & Richardson’s Southern California office, a leader in the firm’s life sciences and pharmaceutical litigation group, and active in the firm’s post grant group. Mr. Shear has extensive experience in Hatch-Waxman and life sciences litigation representing branded clients in litigation relating to GSK (COREG®, FLOVENT®), Gilead (SOVALDI®, HARVONI®, EPCLUSA®, RANEXA®); Allergan (ALPHAGAN® P, .15 and .1, COMBIGAN®, LUMIGAN®, ACUVAIL®, ACULAR® LS and SANCTURA® XR); and iCeutica and Iroko (ZORVOLEX® and VIVLODEX®). Also included in his extensive client list is Coherus BioSciences, who he’s represented at the US PTO and the US Supreme Court. Mr. Shear has participated in more than a dozen trials, domestically and internationally, both as lead trial counsel and as a member of the trial team in the US, UK, Canada, Australia, and Norway. 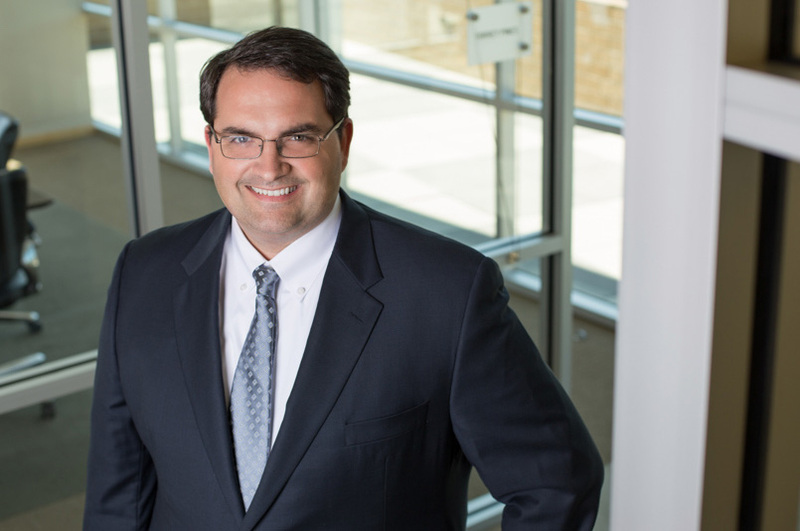 As lead trial counsel, Mr. Shear successfully defended Callaway Golf in a jury trial in the Eastern District of Texas. Mr. Shear also has experience in Patent Office proceedings, both in the US and in Europe including EPO Opposition Proceedings, US Patent Office Post Grant proceedings and interferences. In addition to his courtroom work, Mr. Shear teaches life sciences trial and patent practice courses around the country. Member: Giles S. Rich American Inn of Court, Federal Circuit Bar Association, American Intellectual Property Law Association. Co-speaker for Fish Biosimilars Webinar, “Biosimilars 102 – Litigation: Planning and Strategy,” March 3, 2016. Co-speaker for Fish Biosimilars Webinar, “Biosimilars 101,” January 21, 2016. Co-speaker, “Biotech & Pharmaceutical Patent Cases: 2014 Year in Review,” Boston Breakfast Series (January 7, 2015). “I’ve Got My Eye on You – FDA May be More Closely Evaluating Generic Products,” Pharma Compliance Monitor (June 2014). “Hatch-Waxman at the Federal Circuit: Sustaining validity of formulation patents is no easy task,” Fish Litigation Blog (December 2013). “The Ever Changing Seas of Patent Law,” BIO’s Intellectual Property Counsels’ Fall Conference (2007). “How to Prepare for and Conduct Markman Hearings,” Claim Construction from the Appellate Perspective, Practicing Law Institute, San Francisco (2007). “KSR International vs. Teleflex – Understanding Obviousness and Pro Active Strategies for Protecting Your Patents” IP Law & Business, Innovations in IP Litigation – Spring Briefing (2007). “From a Clerk’s Perspective: A Discussion of Recent Cases From an Insider’s Perspective,” BIO’s Intellectual Property Counsels’ Spring Conference (2007). “How to Prepare for and Conduct Markman Hearings,” Claim Construction from the Appellate Perspective, Practicing Law Institute, San Francisco (2005). “How to Prepare & Conduct Markman Hearings 2005,” with D. Grinshpun, anthology published by Practicing Law Institute (2005). “Ethics: Document Retention, Spoliation and Related Ethical Issues,” Center for American and International Law’s 42nd Annual Intellectual Property Law Conference, Dallas, Texas (2004). W. Chad Shear and Thomas J. Van Gilder, Spoliation and Document Retention: Know When to Hold ‘Em (2004). “The Anti-Cybersquatting Consumer Protection Act – An Offensive Weapon for Trademark Holders,” 1 ILL. J. L. TECH. & POL’Y 219 (2001). “The Ethics of Opinion Letters Under the United States Patent & Trademark Office Code of Professional Responsibility and the New York Code of Professional Responsibility,” ETHICS IN CONTEXT 1999: ETHICS FOR SECURITIES LAWYERS, CORPORATE COUNSEL, BANKRUPTCY LAWYERS, LITIGATORS, ESTATE PLANNERS AND TRADEMARK LAWYERS, Practicing Law Institute (1999). “The Liability Implications of the Illinois Electronic Commerce Security Act,” 2 MOD. TRENDS INTELL. PROP. 87 (1998). Coherus Biosciences v. Abbvie Biotechnology Ltd. (Patent Trial and Appeal Board): Representing biosimilar manufacturer Coherus in four inter partes review petitions filed against AbbVie patents covering dosing protocols for HUMIRA®. Idenix v. Gilead Sciences, Inc., (D. Mass; D. Del): Representing defendant, Gilead, in worldwide litigation over its blockbuster hepatitis C treatments SOVALDI® and HARVONI®. Gilead Sciences, Inc. v. AbbVie (D. Del. ): Representing plaintiff in litigation over its hepatitis C treatment HARVONI®. iCeutica Inc. et al v Lupin, LTD., et al (D. Del): Lead counsel for Plaintiffs in Hatch-Waxman litigation over pain medication ZORVOLEX®. GSK v Teva; GSK v Glenmark (D.Del): counsel for plaintiffs in litigation over heart-failure medication COREG®. Roche Palo Alto, et al v. Lupin, Ltd., et al (D.N.J. ): Trial counsel for plaintiffs in Hatch-Waxman action over ANDA for angina drug RANEXA®; after three-week bench trial in May, 2013, case settled with Lupin agreeing to forestall entry until three months before patent expiry. Allergan, Inc. v. Sandoz, Inc., et al (E.D.Tx. ): Trial counsel for plaintiff in Hatch-Waxman actions over ANDAs for glaucoma drug COMBIGAN®. Injunction entered against generic entry in August, 2011. Injunction affirmed at 726 F.3d.1286 (Fed. Cir. 2013). Allergan, Inc. v. Akorn, Inc., et al (D. Del. ): Counsel for plaintiff in Hatch-Waxman action over ANDA for ocular pain drug ACUVAIL®. Case amicably settled. Allergan, Inc. v. Akorn, Inc, et al (E.D.Tx. ): Counsel for plaintiff in patent infringement actions over generic versions of ocular pain drug ACULAR® LS. Cases amicably settled. Allergan, Inc. v. Sandoz, Inc., et al (E.D.Tx. ): Trial counsel for plaintiff in Hatch-Waxman actions over ANDAs for glaucoma drug COMBIGAN®. Injunction entered against generic entry. Affirmed on appeal. In re Brimonidine Patent Litigation, MDL No. 1866 (D. Del. ): Trial and appellate counsel for Allergan in multi-district litigation regarding ANDAs for glaucoma drugs, ALPHAGAN P .15% and ALPHAGAN® P .1%. Injunction entered against generic entry in October, 2009. Injunction affirmed at 643 F.3d 1366 (Fed. Cir. 2011). Colucci v. Callaway Golf (E.D. TX. 2010): Lead trial counsel for Callaway Golf – obtained successful defense jury verdict in a case involving several lines of Callaway Golf putters. Allergan, Inc., et al v. Alcon Laboratories, et al (D.Del. ): Counsel for Allergan regarding a generic version of Allergan’s glaucoma drug, ALPHAGAN® P 0.15% that resulted in settlement on the morning of opening statements with defendant agreeing not to launch generic drug for several years and to pay royalty on release. Bella Bella, Inc. v. Mary Kay, Inc. (C.D. Cal. 2008): Defended Mary Kay in patent litigation regarding micro-derm abrasion skin care products. Microsoft Corporation adv. Data Encryption Corporation(C.D. Cal. ): Won summary judgment of noninfringement for defendant Microsoft in patent infringement case against Windows involving file encryption technology, affirmed by the United States Court of Appeals for the Federal Circuit. Dyneon LLC, et al v. Dupont Dow Elastomers (D. Minn.): Represented Dyneon in patent infringement action related to polymer processing additives. Case favorably settled shortly before trial. Dimension One Spas v. Coverplay (S.D. Cal): Represented Dimension One Spas in patent infringement action related to spa cover lifters. Won summary judgment of infringement and no invalidity after bench trial. Microsoft Corporation adv. TV Interactive Data (N.D. Cal. ): Defended Microsoft in four-patent litigation involving Windows operating system and device driver technology. Case favorably settled. Callaway Golf Co. v. Thomas Golf, Inc. (S.D Cal. ): Represented Callaway Golf in trademark infringement and patent declaratory judgment action. Case favorably settled. DuFresne v. Microsoft Corp. et al. (D. Mass. ): Counsel for Microsoft, Adobe Systems, Inc., and Macromedia, Inc. in litigation involving client-server programming environment where executable tags are embedded in an html file.